This is the story of the March family, living in Concord, Massachusetts during and then after the American Civil War. The father (Matthew Walker) is off fighting in the war, leaving his wife (Susan Sarandon) and their four daughters home without much in the way of an income to fend for themselves. The daughters are Meg (Trini Alvarado), our main character Jo (Winona Ryder), Beth (Claire Danes), and young Amy (Kirsten Dunst, and then Samantha Mathis). Meg is the practical daughter. Jo is the rebel, wanting to write more than anything. Beth is perhaps the best of them in many ways. Amy is the hopeless romantic. The girls amuse themselves by producing a personal newspaper filled with stories written by Jo. They also act out plays penned by her for their own satisfaction. Life changes for the Marches when their next door neighbor, the wealthy Mr. Laurence (John Neville), has his grandson Theodore (nicknamed Laurie and played by Christian Bale) move in with him. The girls consider Laurie some sort of prisoner and discover him to be someone in whom several of them are romantically interested, particularly Jo, who finds him a kindred spirit. Meg find herself attracted to Laurie’s tutor, the poor but honest John Brooke (Eric Stoltz). Years pass, and we do get some significant events here. Meg marries John, Beth contracts scarlet fever, which leaves her weak and bedridden, and Jo ends up in New York attempting to find work as a writer. It is here that she meets Friedrich Bhaer (Gabriel Byrne), a German professor who sees untapped potential in Jo and introduces her to culture. Meanwhile, Amy has gone to Europe to study painting where she meets a dissolute Laurie. So, we’ve got three unmarried girls, two potential suitors, and we can’t have that. That means either something needs to happen to our sickly Beth or we need a third suitor. I’ll put it this way: there isn’t a third suitor. The end of the film is going to be tragedy mixed with joy and as many people as possible are going to get as happy an ending as possible. This version of Little Women is q lot better than the one from the ‘30s, although that’s not saying a great deal. Winona Ryder is far more likable as Jo than Katherine Hepburn was, which is a huge benefit for this version. The overly flowery language hasn’t changed, though. All of the March women are hopelessly prolix, and yes, I’m specifically using that word to make the point. It’s overly and overtly dramatic, and while that does seem to fit at least in part with the time frame of the movie, I find it tedious. There’s also not nearly enough Susan Sarandon here, and the Susan Sarandon we get is similarly flowery. There’s also a lot of story here; arguably too much for the movie that we have, although it all does work pretty well. Look, I said it at the top. 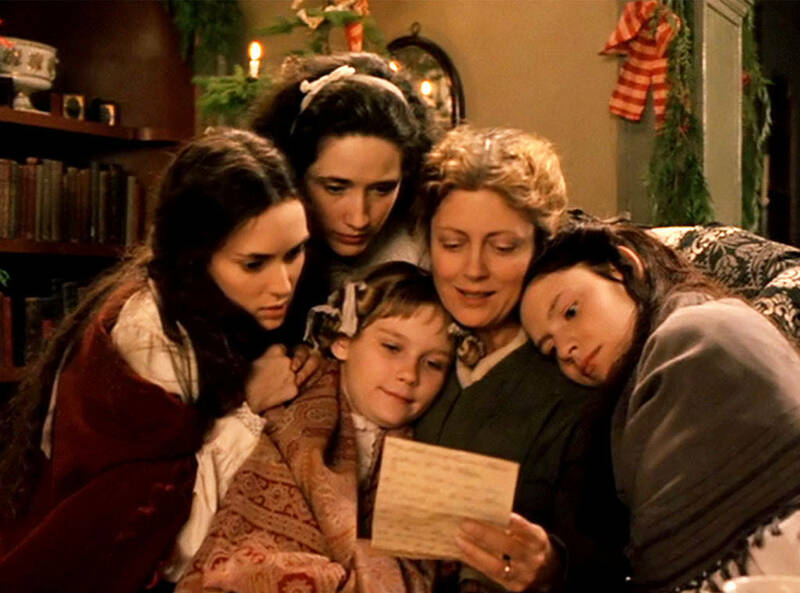 Little Women is almost certainly a better film than I think it is, but it’s not a film made for me. I’ll leave it at that. Why to watch Little Women (1994): This is how you do period drama. Why not to watch: It tries to pack a lot of story in, so it nothing really feels that complete. I was a young girl in the 90s, and this film was one of the few "grown-up" films I remember watching a lot. I really liked it, and when I re-watched as an adult later I was still impressed with it; I do love a good period drama. While not necessarily a "chick flick" I think this is certainly a film aimed at women (directed by a woman no less). I do agree there seems to be too much story for the running time. I haven't read the book, so don't know what was left out, but the story does have an episodic quality in the film. I am surprised there hasn't been a TV version made recently. As mentioned in the review above, it's the floweriness of the language that bothers me. It feels like it's trying to out-Austen a movie based on a Jane Austen novel, and I say that as someone who genuinely loved Sense and Sensibility. A TV miniseries might be the best way to do it--give it a little more space and not have to cram everything into two hours.